Mücke Motorsport’s Pascal Wehrlein claimed his first Formula 3 victory of the season with a stellar display at a very wet Monza this morning. 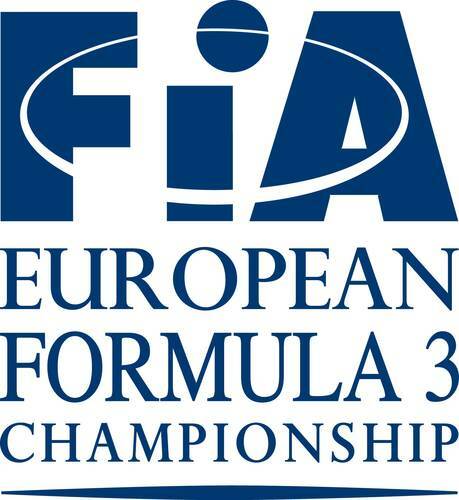 EuroInternational’s Tom Blomqvist earned his first F3 podium finish with a top line drive. So wet were the conditions that a start under the safety was a necessity. For four laps, the field of thirty petered slowly around the historic Monza circuit, while the mist and rain clung to the trees and hung in the air. Indeed Lucas Auer spinning on a puddle on the approach to the Rettifilo chicane and into the barriers on the fourth lap at safety car speeds made the decision to call in Maserati somewhat dubious. Auer was out. Now it was down to twenty-nine. With the race proper under way, it temporarily unravelled for Wehrlein. Pushing to stay ahead of Marciello, the DTM-bound racer ran wide at the second of the Lesmo’s on the fifth lap, allowing Marciello to slip ahead. The crucial change came on lap eleven. A spin exiting the second Lesmo by Spike Goddard left him manoeuvring precariously to regain the road just as Marciello and Wehrlein chanced upon him. Elaborating upon any changes to the car, Blomqvist responded, “There were small adjustments for the weather conditions; I think it helped us out a bit. Had it been dry, we would have struggled a little bit more,” said the 19-year-old. The safety car returned to the track following Wehrlein’s move for the lead due to dramatic accident in the Rettifilo chicane. In a battle for 8th position, Mans Grenhagen completely missed his braking point, rammed the rear of Jordan King launching the former into the air. Before coming down, the Swede landed on the rear of Will Buller’s T-Sport machine, taking the English man out and sending Grenhagen into a series of very scary rolls. Despite the severity of the incident, all three emerged safely from their torn machines; however Grenhagen’s van Amersfoort car was damaged to such an extent, he will be unable to take part in the final race of the weekend. With the field static for the final few tours, Rosenqvist took some solace with a decent 4th, helped by a move on Carlin’s Harry Tincknell on lap seven, while Alex Lynn (Prema) slipped by Buller one lap before the latter was taken out. Felix Serralles and Josh Hill enjoyed solid races to come home 7th and 8th – especially good for Hill, who had never driven an F3 car in wet conditions prior to this race, on a track he had never visited before last week. Pipo Derani (Fortec) came home 9th but was later penalised for driving without a rear light and ignoring warning flags – he dropped to 19th, promoting Sven Muller to 10th, while Dennis van der Laar took one point for bringing his van Amersfoort machine to the flag in 10th. Pipo Derani penalised 10-seconds for ignoring a warning flag.